Siri "Eyes Free" mode will be coming to the 2014 Chevrolet Camaro, Volt, Malibu, SS, Cruze and Equinox via the Chevrolet MyLink service, GM announced today. Earlier this year, the Chevy Spark and Sonic were the first cars to get Siri "Eyes Free" mode, and the car company cites its popularity with customers for its expansion across their car line. In June, BMW announced Siri "Eyes Free" mode, which allows users to interact with their devices without looking at their phones, would be arriving in all of its cars from 2014 and beyond while Honda had announced the feature would be coming to several of its 2013 models earlier this year. 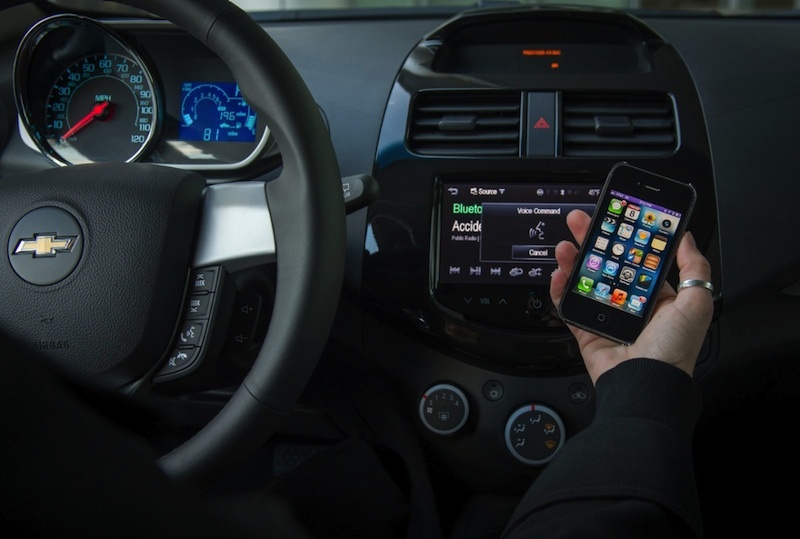 Apple has made an effort recently to get its technology in automobiles with Siri "Eyes Free" being announced last June and iOS in the Car, which allows iOS devices to be seamlessly integrated into cars' in-dash entertainment systems, being announced at this year's WWDC. At their third-quarter earnings call in July, Apple CEO Tim Cook said that having something in the automobile was "very important" for Apple. My next car will have some sort of Apple / iOS integration. This isn't that big of a deal. I think most everyone is waiting on news of iOS in the car. Where's our "iOS in the Car" ? Again iOS in the car is what I want, but not just on new expensive cars. I want Apple to release its own if need be or open up to allow 3rd parties to develop kits to retrofit iOS in the car to current vehicles. I often wish my big navigation touch screen could echo and input to my phone's display. Display and interactive integration with ALL types of smartphones should've happened years ago. Car makers should sit down and hammer out a global spec.